Aunt Joy's Cakes is the leading provider of cakes and cookies to Hollywood studios in the Los Angeles area. 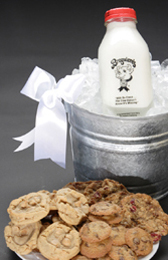 We deliver our specially made cakes and cookies all over the surrounding areas of our offices in Burbank, California. We are aiming to make Aunt Joy's Cakes products nationally available as demand for our cakes and cookies increases from other areas outside California. Presently Aunt Joy's Cakes charges a small amount towards delivery charges if the delivery location is beyond a certain distance from our bakery. All of our products are baked to order, fresh every day. When placing an order for delivery or pick-up, please allow 24 hours advance notice. To assure a specific time for delivery at least 48 hours notice will help secure that time. If you would like to order a custom designed cake, wedding cake, or have any have any other special requests please contact us prior to placing your order. We will squeeze in same day orders on occasions, so please call us for last minute requests. When selecting a delivery, please choose one of the locations provided. If your location is not provided, contact us to find out the delivery cost. After selecting your location, provide the address where the order is being delivered too, including the persons name, building, and apartment numbers. You can pick up your order at our Burbank location by appointment only. Unfortunately we do not operate a storefront at this time. For online orders, we accept credit card payments via PayPal only . Credit card, cash or check payments are accepted if the order is placed by phone for delivery of Pick-up. Santa Monica $51, Studio City $20, Sun Valley $12, Valencia $56, Van Nuys $22, West Hollywood $29, Beverly Hills $22.